When you’re buying a home in the mountains of Western North Carolina, you may be purchasing it using a home loan. 60-70% of buyers here use a loan as a way to secure their home. Thou Shalt NOT make CASH deposits without first talking to your loan officer. If your payroll is not direct deposit, deposit entire check, then make a withdrawal. Any deposits not documented will be deleted from your available cash to close. Thou Shalt NOT change employment, become self-employed, or quit your existing job. Thou Shalt NOT buy a car, truck or van. If you do, you might have to live in it! Thou Shalt NOT use charge cards excessively or let your account fall behind on payments. Thou Shalt NOT spend money you have saved or allocated to closing. Thou Shalt NOT omit debts or liabilities on your mortgage loan application. Thou Shalt NOT originate any new inquiries on your credit. Use these as a guide and your opportunity to buy your home greatly increases! We’ve literally seen people not be able to buy their house because they violated one of the above commandments during closing. Ready to buy your home? Contact Us and let us know how we can help and feel free to Search Homes Here. We found out about The Poltrock Team while searching properties on the Internet. After Wayne Cofer called about one of our inquiries, we decided to work with the team. During our real estate transaction, Wayne Cofer’s services were most helpful. We spent several days with him, and his guidance and questions made us really “think.” We feel that Wayne is a true asset! We are very pleased to have found the perfect home, in the perfect location! Also, The Poltrock Team’s business relationships with attorneys and insurance companies definitely made the legal end of our purchase seem flawless. Overall, we rate the level of service received as a “10.” We would absolutely work with The Poltrock Team again. It’s that time of year again, the leaves are changing and the temperature is dropping. Winter is right around the corner. Don’t let that mean you have broken pipes and damage to your house. This is the perfect time to start thinking about winterizing your home, and if this doesn’t apply to you feel free to share this with somebody that it could be helpful to. We saw The Poltrock Team signs all over town and decided to call John Poltrock when we thought about selling our home in Murphy, NC. When we met John, we felt that he had a real knowledge and enthusiasm about the local estate market. We listed our home with him and, being realtors ourselves, we expected a lot from The Poltrock Team and we were not disappointed. We had very good results and a happy experience with them. Would absolutely recommend John and The Poltrock Team at RE/MAX! ~~Judy and Dennis Robichaud, Naples, FL. 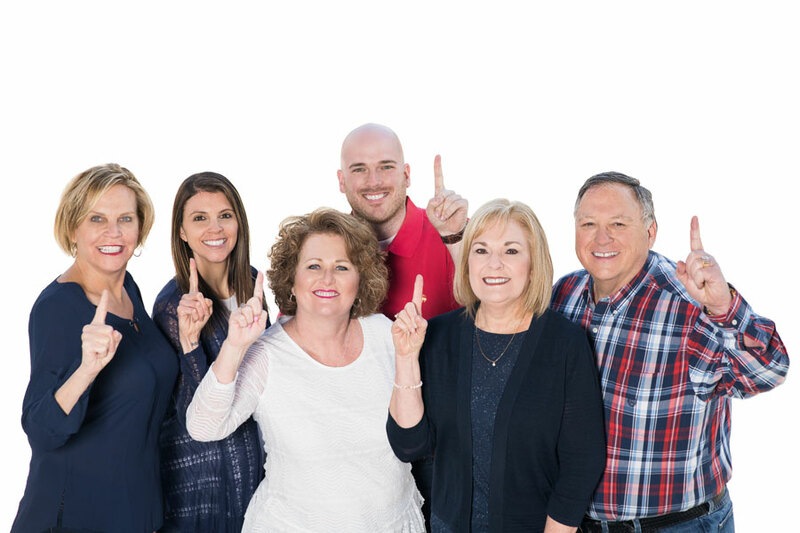 Through an Internet search, we found The Poltrock Team, and we decided to work with Donna because of her daily emails on current new listings. Donna was very professional! She took the time to show us everything we wanted to see regardless of the travel distance. 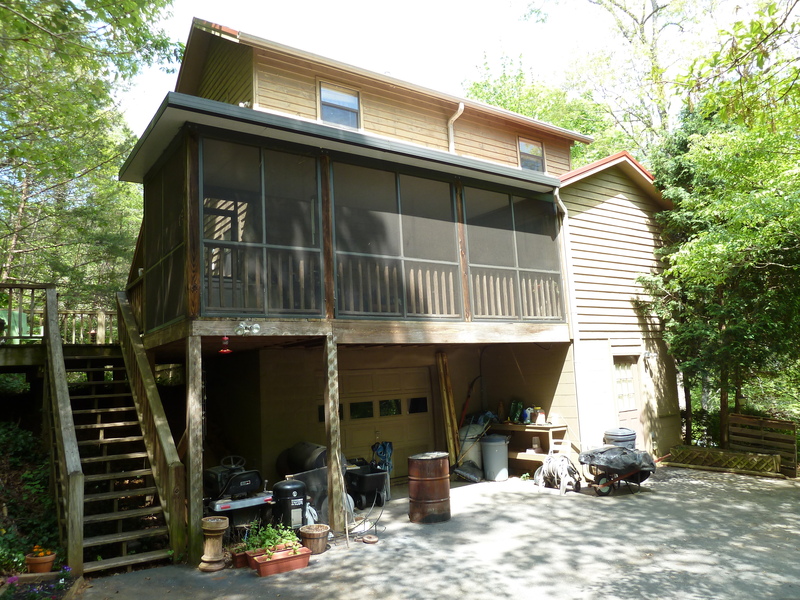 We found the perfect home to buy in Murphy NC – thanks Donna! This 3 bedroom, 2 bath home is nestled on a great wooded, private lot close to Cherokee Hills Golf Course! It offers many features like gas log fireplace is in the living room, central vacuum, upgraded hardwood laminate floors, screened in porch, unfinished basement has garage and lots of space to use for storage, workshop, or anything you need! The main level bedroom even has access to the deck. The grounds have flowering shrubbery, and lots of hardwood trees that keep the home cool in the summer. The driveway is paved and there is a fenced in side yard. Excellent access to golf, shopping, restaurants, and more! This home is an incredible value for everything it offers. Call today to schedule to see it! Above And Beyond The Job – That’s what The Poltrock Team Does! We found The Poltrock Team through their website and their emails. Donna’s quick response is the main reason we decided to work with The Poltrock Team. Our experience was OUTSTANDING! They were accurate with their information, were willing to do research, and they went above and beyond the job! If you want to buy a home in Murphy NC, there’s no better choice! We are return customers with The Poltrock Team! They are AWESOME! They are always friendly and go the extra mile to help you find the right property! We have had the pleasure of working with The Poltrock Team for many years. They were friendly and helpful with our first piece of land in Murphy. We had several phone conversations and we felt right at home. When we met them in person, they made us feel like we were family and had known us for a long time. The really take the time to put a personal touch on things – you don’t find that much any more. John just recently helped us buy our second property – a beautiful cabin home in White Oak. It was wonderful to work with him again and we feel like the mountains are our home too! Thank you for listening to what we were looking for and always going the extra mile! The most helpful thing offered by The Poltrock Team was their time and patience – and making sure we got the best fit for us! Buying a home is exciting, but frankly, getting a loan isn’t. It’s a necessary process if you need to borrow money to purchase your dream home. Around 60% of our closings involve a loan, so we certainly can help with the process. Remember, there is a HUGE benefit to using a local lender as opposed to a big national or out-of-town lender. Click here to read our article why. Your street address, or addresses, for the past two years. If you rent, your landlord’s contact information. If you own your house, your mortgage lender’s name and account number. The name and contact information for any employer you’ve worked for over the past two years. Your gross monthly salary and/or other income. Year to Date pay stub. W2’s for the past two years. Signed tax returns for the past 2 years, especially if you work on commission or wish to use interest, dividends, or bonus income to qualify for the loan. If self employed, bring the past two years and the current Profit & Loss statement in addition to tax returns. If you’re not currently employed, bring proof of other sources of income. You’ll need statements for the past two months of all checking, savings, IRA, retirement, 401(k), stock and mutual fund accounts. Make sure the statements show your balance and account numbers. Name, contact information, account number, balance, and monthly payment(s) on all outstanding loans and credit cards. The address, current market value, and loan information of all real estate you own. Copies of any leases on any rental property you own. The rough value of your furniture and other personal property including vehicles, boats, campers, etc. and their make/model. If you already have an offer to purchase in place, bring a copy with you. Otherwise, your Realtor can forward it to the lender once you’ve found your property to purchase. You’ll have to pay for your appraisal and credit report with a check, so bring a couple checks with you for any fees that apply. If applying for a VA Loan, you’ll need military discharge papers (Form DD214) and your Certificate of Eligibility. This article is courtesy of a contribution made by Teresa O’Blenes. She is a mortgage lender with BB&T Bank here in Murphy NC. She’s an excellent resource and can be reached at 828-837-8017. I decided to work with The Poltrock Team because they represented RE/MAX, and I knew that RE/MAX had the coverage that my home needed. Immediately, I liked John’s attitude! The Poltrock Team went above and beyond by having a representative check on my house when I could not be there for health care reasons. Everything was handled well – nicely and helpfully. John has a nice persona and makes one feel cared for. His team helped to find a family that bought my farm who are exactly what I prayed for. I hope they love it as much as my husband, family, and I did!